Weather: Excellent, Hazy Sun and Full Sun throughout day. Mostly calm but NW wind channeled up loch by mountains surprisingly strong in places. From the access pint we crossed to our first target, the burial island of Inishail. There is a lovely sand beach on both sides of the small peninsular to the south of the island with potentially an excellent little camp site where a rough path runs along the shore to the mound on the west. A rough path runs along the shore to the mound on the west. On the mound are the ruins of an old convent and church with a graveyard. The age of some of the slabs appears to be considerable, probably back to around 1200 when Somerled was Lord of the Isles. Both the 11th and 12th Dukes of Argyll chose to be buried here (in 1973 and 2001). Their graves are surprisingly modest. All told the island is strongly recommended for a really intersting half hour. From Inisail we progressed on pas a couple of Crannogs to the beach beneath Ardanaseig Hotel.http://www.ardanaiseig.com/gallery/house/ We wandered up to the hotel for a drink and nose about. It is a really lovely place with some beautiful furnishings and paintings and very expensive beer. It was absolutely empty of all customers with ghost like staff. The journey to the hotel from Taynuilt is long and tortuous but would appear to be worth it if you can afford it. The grounds are extensive and in the garden you can find 66 labelled species of tree. After the beer, lunch was taken on the lawns beneath the hotel before setting off for our third target, the castle of Fraoch Eilean. This castle was built in 1267 by the McNaughton clan before coming under the control of the deadly Campbells. It has its usual collection of clan wars and seiges but is not now in a good state having been overtaken in the castle stakes by its neighbour Kilchurn . The landing point on the isalnd is quite rough and bouldery and on return a sharp breeze directly on to it had sprung up. The loch had become alive with white crested wavelets. After we had negotiated the exit we swung round and were pushed eastwards towards our next target Kilchurn Castle. Kilchurn must be one of the most photogenic of Scotland’s Castles. It is also one of the most popular and, despite the half mile walk from the road, was very popular on a lovely Easter Saturday. The top of the main tower was sadly shut so we could not get the best views of the loch and Ben Cruachan but despite that it was well worth the visit. After a prolonged coffee break we ventured back; this time into the F3 breeze. It proved to be a surprisingly comfortable paddle with few breaks and no problems. We were back just before 5pm for the 90 minute journey home. Conditions were fantastic and the route combined interest, beauty and just the mildest of challenges. All in all a perfect day. 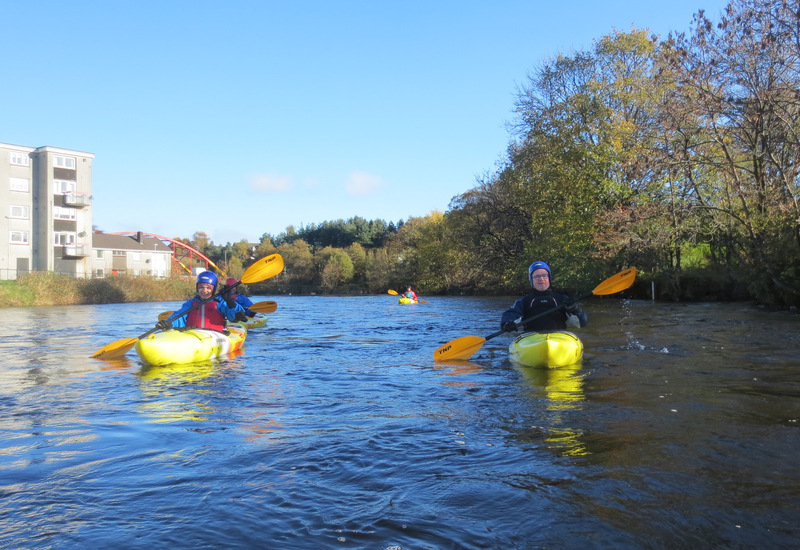 One of the key objectives of the club is to bring kayakers and canoeists together for trips. Paddling alone is not recommended. Club Members who are on trips which conform to Club Policy have the advantage of third party insurance i.e. if there is an accident and they are liable then they have insurance cover. These trips which have a responsible leader are identified as Club Trips and can include U18s. Many trips are arranged at short notice and have not been considered by the Club. Because there is no official leader and individuals, as adults (no U-18s) are free to make their own choices they are known as Peer Group Trips. These can be immensely rewarding and consequently are encouraged and reported. Before Easter I was involved in three windy trips on the Clyde: Craigendoran -Kilcreggan with AndyD., Craigendoran -Cardross with Andy, Pete B, Garry (from Falkirk) and Cristabel (from Milngavie) and Craigendoran-Ardmore with Colin and Gordon, which was a late evening/night trip. All very rewarding. Report: The original plan had been to kayak North Loch Awe on theThursday but last weeks mishap (3 kayakers rescued at Greenock with helicopter and lifeboat summoned) , led to hesitation when the wind forecast was F5 with F7 gusts. Instead, given shelter from the expected wind and a high tide at 1.30 we decided on the trip up the White Cart to to Paisley Centre through the Gilmore St. tunnels. The launch point was the beach just to the east of Erskine Bridge by the old southerly ferry slip. There is an excellent parking spot here and an even better beach. 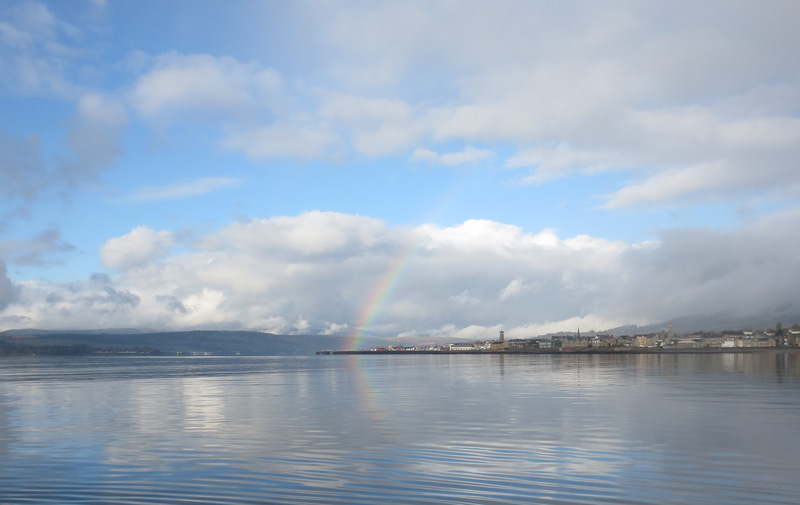 Although it was raining heavily (as it had been from 9am) the paddle up the Clyde with the tide was surprisingly pleasant. There is no other outdoor sport where the rain makes so little difference. From Clydebank we headed south up the White Cart. The river is reminiscent of the Leven before being cleaned up with collapsing wharves, oozing litter covered banks and industrial buildings. There is only one place to stop even if you wanted to (which you will not). The one place is a slip by a small green with a new housing development behind, marked on the map with a purple triangle.. It is dirty and covered with dog excrement but there is no other, so there we had lunch (about 12.30). The next section takes you between high walls and to the tunnel under the town centre. Be Warned; The tunnels are only passable 30 minutes each side of high tide. Our timings were perfect and we were quickly through the tunnels into the old part of the city just beneath the Abbey. The southern end of the twin tunnels with Gilmour Shopping Centre above and the town hall on the right. The next section is undoubtedly the highlight of the trip ending in the mill pool beneath a wide attractive natural weir/waterfall. We turned back from the mill pool at about 1.30 with the tide, wind and current all in our favour. None were strong enough to worry and in a relativelt short time we were at the mouth of the river where, for the first time, there was substantial wind. As we turned down the Clyde (past the new Leisure Centre where there is now a pontoon where one could enter/exit the Clyde in a kayak) and were back at the beach just after 3, 1. hours for over 10km. In summary, despite the cold and frequent soakings from the rain, it was an excellent and recommended trip. 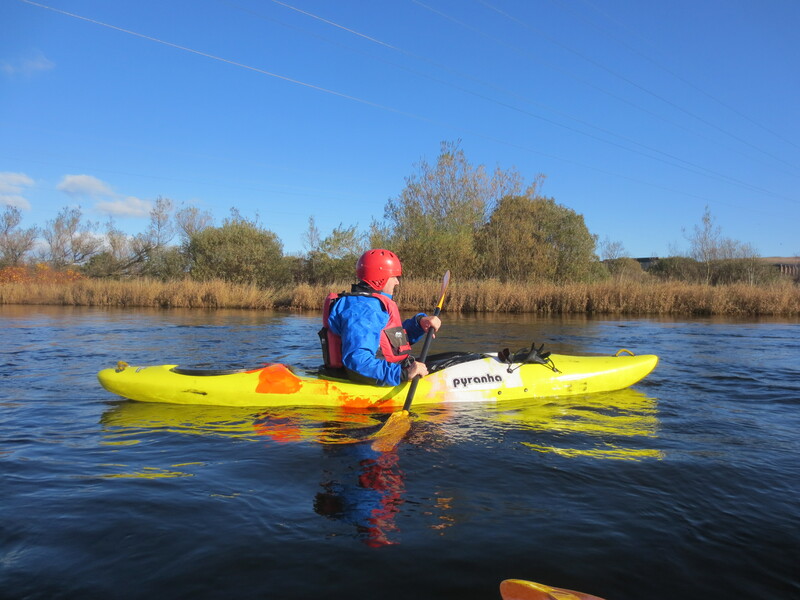 Report: The Adult Basic Skills Course includes three trips of increasing adventure. The second of these was planned to be the Leven but the absence, through late illness, of Euan and the heavy rain led to a late change of plan. 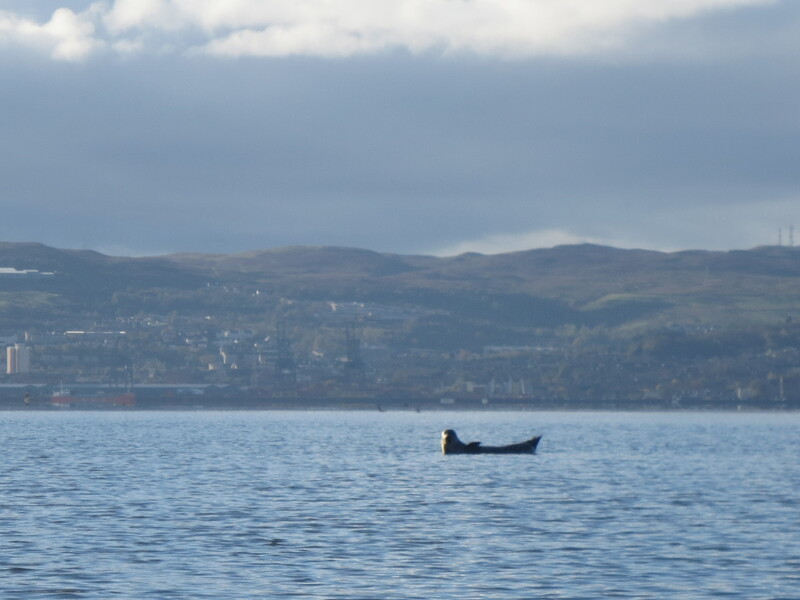 Thankfully Steve W. was available as support so we embarked on a sea trip along the Helensburgh shore sheltered from the north wind. 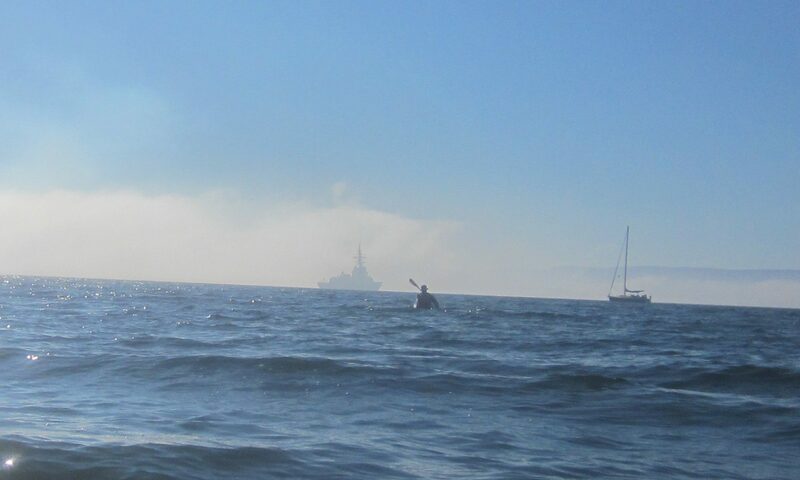 One of the joys of paddling is quiet, unimpeded progress (no queues or traffic) in great company. And so it proved. The coffee stop in the cafe at Kidston Park gave us a chance to get warm and save the world with words. When we exited the cafe we found that our timing of high tide was actually 30 minutes after we stopped and one kayak had floated away and been rescued. No harm. Back at Craigendoran we took the chance of looking at the winter damage around the old pier. It is significant. 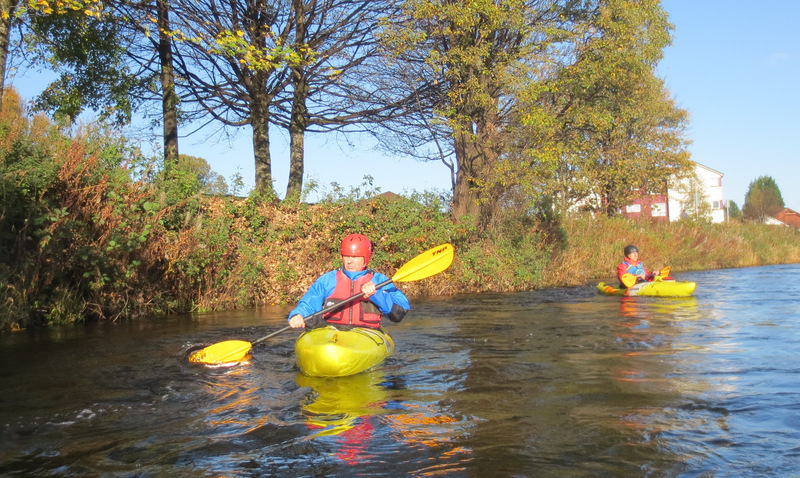 Despite the cold the trip was again both very useful in developing paddling skills and thoroughly enjoyable. 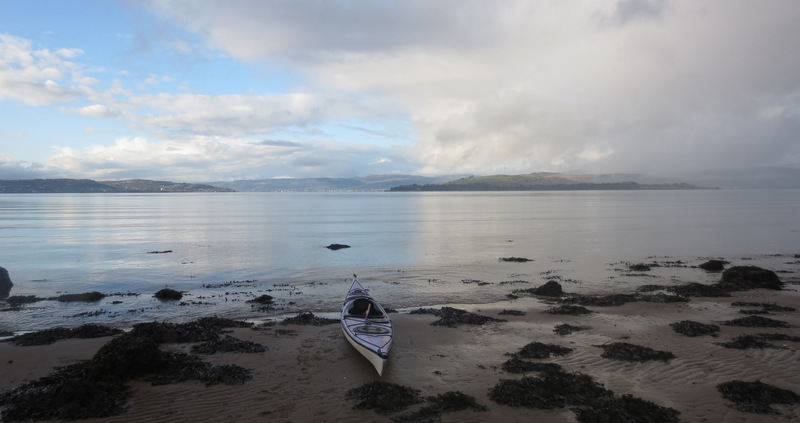 Report: We met at 10.30 for the “first of the year” paddle on Loch Lomond. The forecast promised sun later in the day but it actually got darker and mistier giving a wonderful calm feel to the Loch. Instead of the usual trip around the islands we opted for the “far shore” and, in particular the “fort” marked on the OS map at Strathcashel Point, which none of use had ever visited. The paddle was wonderful. The original fort dates from the Iron Age (pre-Roman) but was built over by the Dukes of Montrose. Little remains except the stumps of walls. From the fort we headed north looking for a good place to have our “picnic”, ideally with a picnic table. This was found at Sallochy Bay which also houses a pair of first class composting toilets. An excellent break with hot mince pies and mulled wine. After a prolonged chat on the virtues or otherwise of Trump and Brexit, we set off again heading west to Ross Point then past the two small islands back to the east shore. South again past the camp site and we were back. To our genuine surprise it was only 2pm. In summary it is difficult to imagine a better actvity in a better place. We are extremely lucky. Paddlers: Steve W., Gordon, Geoff, Douglas, Colin, Andy and Chris L.
Report: A wonderful day with a strong breeze to give us a good swell and a push from behind the whole way. We started from the car park just south of the roundabout and were away close to 10.15. The biggest problem launching here is the lift down from the wall and a rather rough beach. As usual the MOD police came to call. At this stage the breeze was strong and the swell made the ride “interesting”, particularly for the less experienced . At the beach at Knockderry, Colin went ashore to readjust his back rest whilst the rest of us took a break at sea. With all feeling good we pushed on past Cove and Cove Sailing Club to another beach for a break and a coffee. In the sun it was almost warm but the gloves stayed on as we headed east, past Kilcreggan, heading for Rosneath Point. Tiredness was becoming apparent as we pulled in for lunch just west of the point. The sun was warm and the view excellent but sadly no porpoise so after a rather lengthy lunch break we headed on to see the seals at Green Island. Sadly no seals either so across to Helensburgh Pier to give the tourists something to photograph. Sadly the pier is now closed (although there were youngsters on it). So on eastwards with a strengthening westerly behind us to Craigendoran and the end of a thoroughly enjoyable trip. We arrived back at just after 2.30 pm having covered the 16-18 km in around 4 hours including breaks. Weather: Wonderful; Sunny with cold, light northerly pushing us on south. Report: An ideal Beginners Trip. 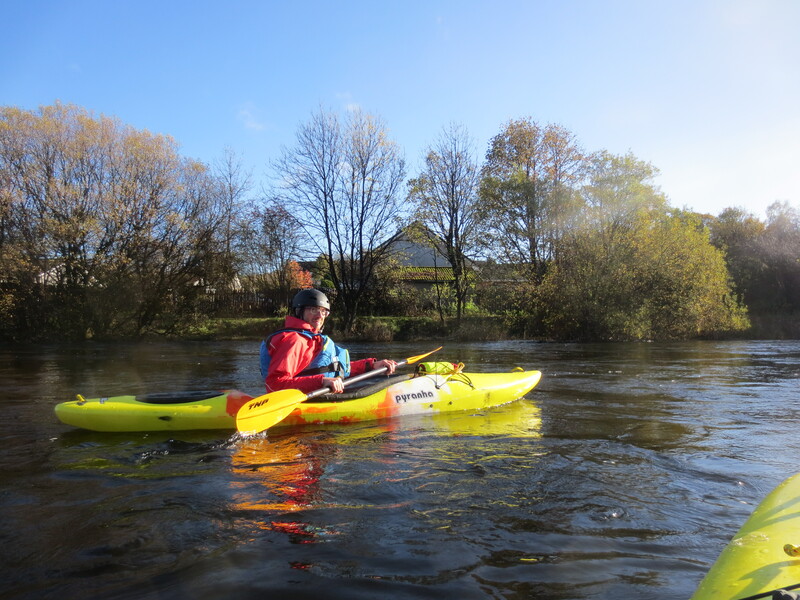 The river was high and fast (10-12kph) and the sun shone. That probably says it all except it only took 90mins as opposed to the schedule 150mins because conditions were so favourable..